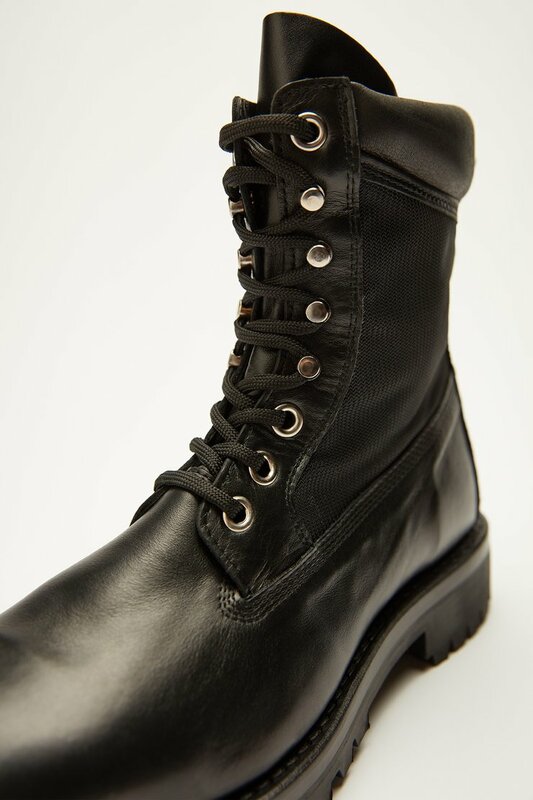 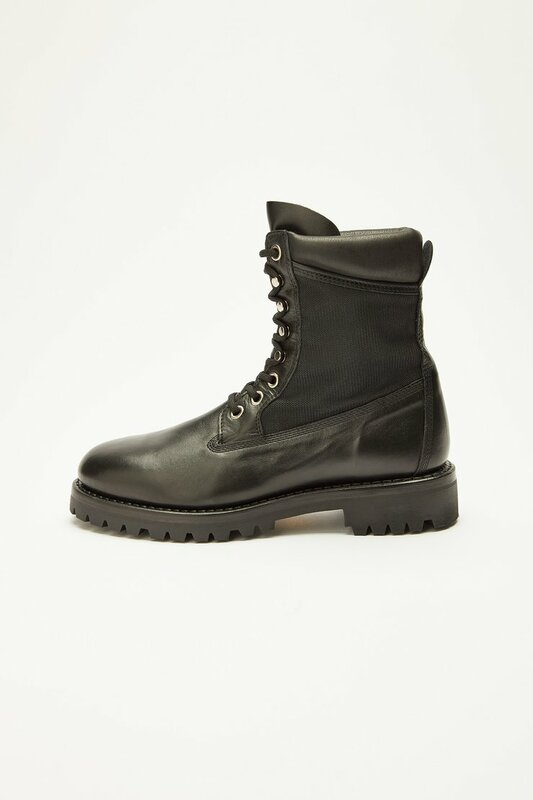 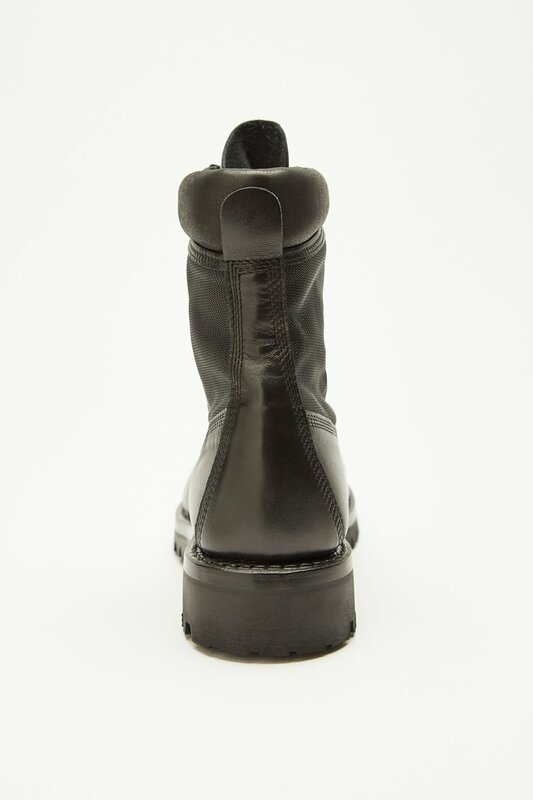 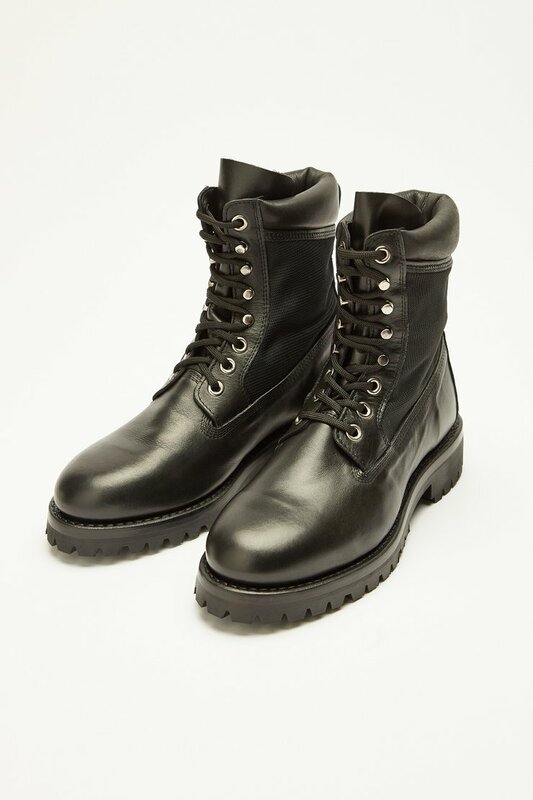 Our Survivor Boot in Black Leather. 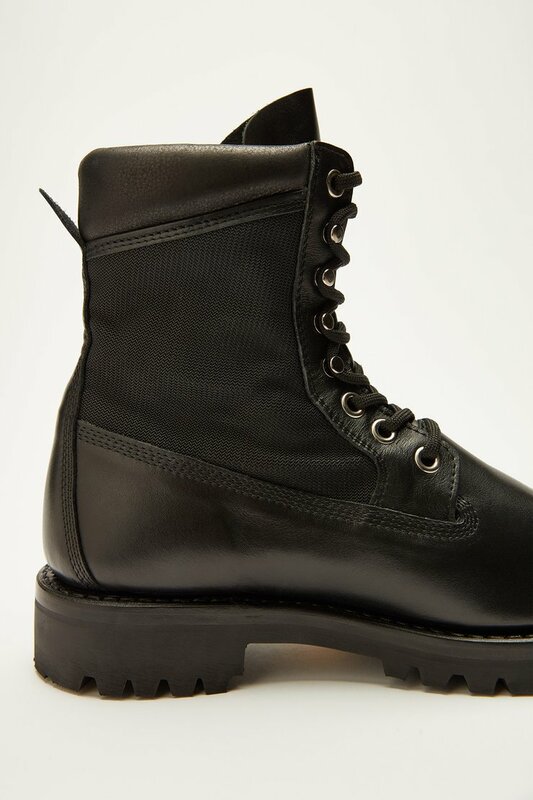 Produced in an Italian calf leather with a mesh side panel, our Survivor Boot features a lugged Vibram outsole, a leather midsole, a leather pull tab and metal eyelets and lace hooks. 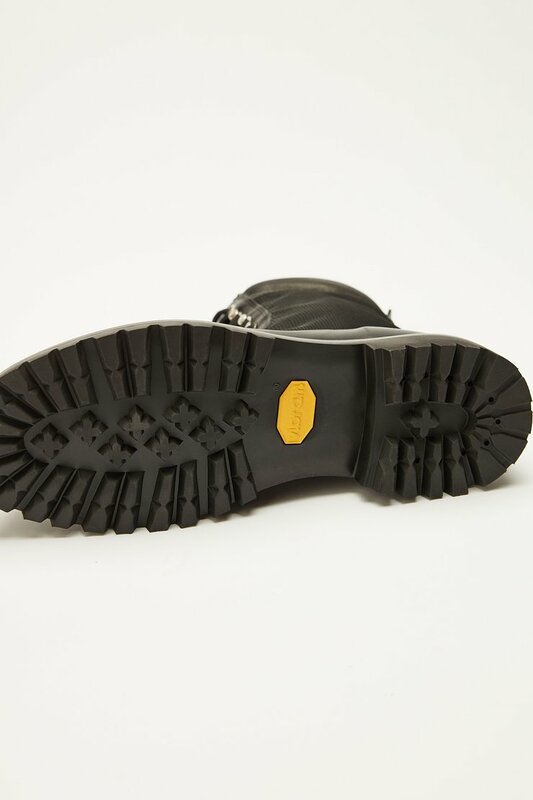 Our Survivor Boot is true to size.